Your Seguso Dining Room would not be complete without our Seguso Modern Sideboard in the American hardwood and finish combination you most prefer. Our Seguso Modern Sideboard offers you the beauty and strength of natural, solid wood, while also showcasing the same handcrafted appeal as our more traditional Amish furniture. 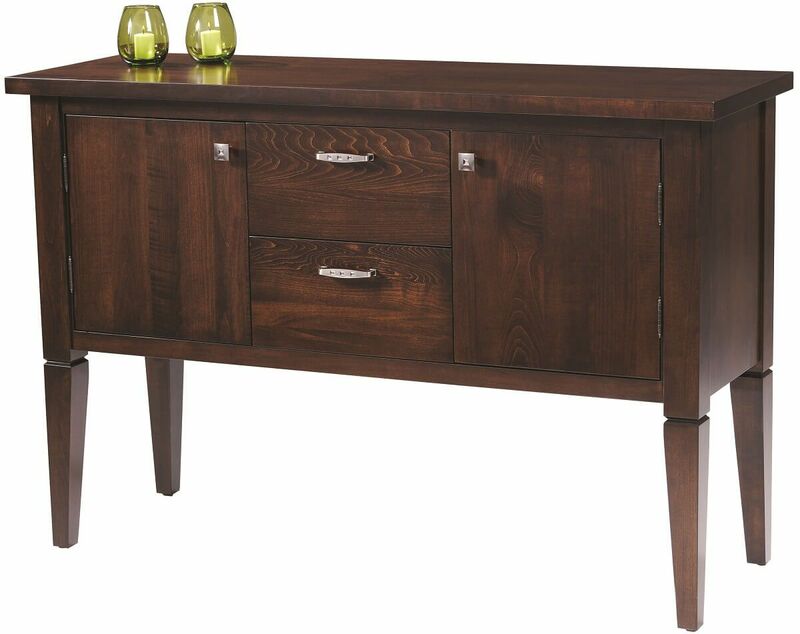 This buffet features durable dovetailed drawers with a soft close mechanism and an impressive 1 1/4" solid top. Countryside is dedicated to providing you with only the finest solid wood dining furniture. Choose your options and our artisans will bring your Seguso Modern Sideboard to life. If you prefer this piece as shown, request a sample of Winter Bark stain over Brown Maple.